ConcenTrace Trace Mineral Drops is an all-natural mineral concentrate that's made by using ConcenFlo, our proprietary harvesting process. ConcenTrace contains over 72 naturally occurring ionic trace minerals from the Great Salt Lake with 99% of the sodium removed. ‡ Source: SPINSscan Natural Channel 52 weeks ending 7/12/15. 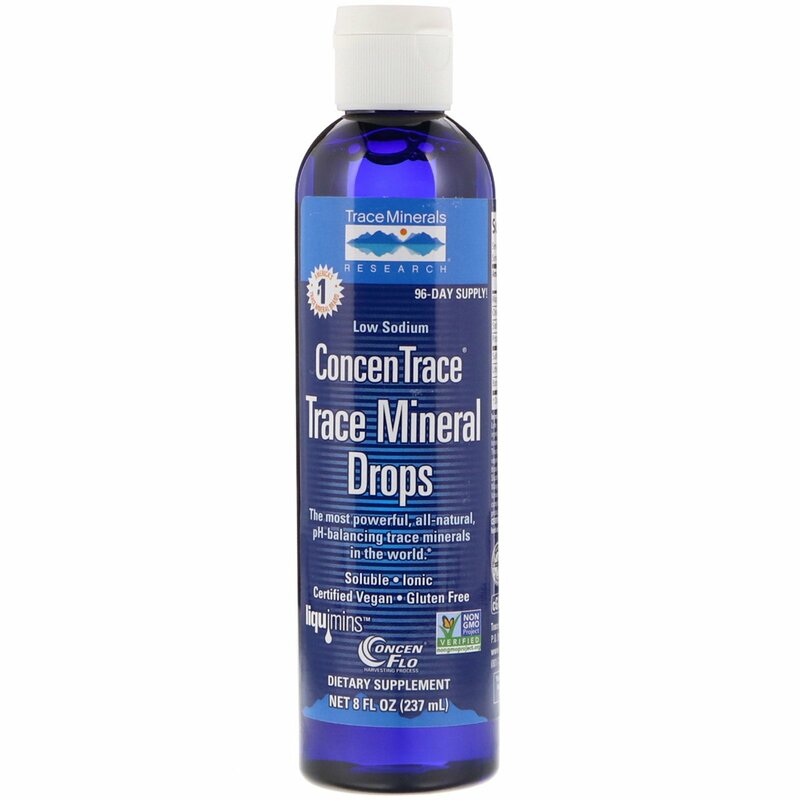 This product contains over 72 ionic trace minerals in varying trace amounts as found in seawater, including those listed above as well as the following: calcium, silicon, selenium, phosphorus, iodine, chromium, manganese, iron, copper, molybdenum, zinc, vanadium.